With a history stretching right back to 1932, Quik’s Verse Aardappelen is certainly no newcomer to the world of potatoes. Nonetheless, although the family business has a healthy respect for its rich traditions and operates accordingly, Quik’s Verse Aardappelen is, above all, an innovative company, one with a focus on sustainable production methods and a pro-active attitude to shifting consumer preferences. It’s a company that can guarantee its customers a streamlined process. Sounds good? Our fresh potatoes taste even better! In 2001, Quik’s started processing potatoes as well, producing ready-to-cook potato products and specialities. 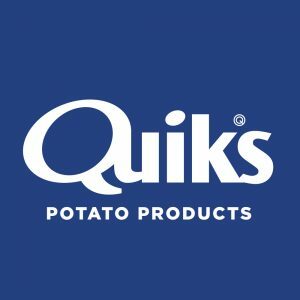 Quik’s Potato Products has a range of potato variations that has more to offer for you and your customers. For example, we produce fresh chips, chilled mashed potato and baby potatoes with the skins on with rosemary and sea salt. Our focus on innovation – we’ve introduced many surprising specialities to the market in recent years – goes hand-in-hand with our interest in sustainability and flavour sensation. Quik’s Potato Products – helped by our staff – ensure that consumers at home and abroad can enjoy tasty potatoes every day. Every single potato that leaves our company premises must be absolutely top quality. 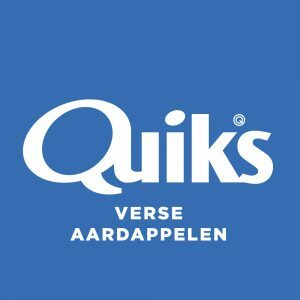 Quik’s Research & Development supports Quik’s Verse Aardappelen and Quik’s Potato Products in all things related to quality. The staff at Quik’s R&D Department, who are never distracted by current fads, work hard, with a good eye for quality, to improve the quality of our products even more. In addition, they continually train and educate the staff of our companies in quality matters, ensuring that information about our products and quality-related matters is shared throughout Quik’s. 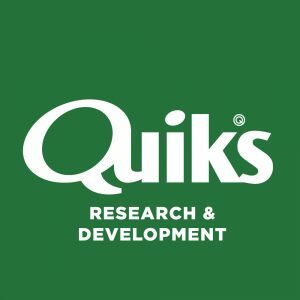 As well as this attention to quality, Quik’s Research & Development staff are engaged in the development of new (seasonal) products and concepts that meet, or even exceed, our customers’ expectations. Our surprising products, for which perfect quality is always a condition, find their way into food service, the food industry and retail. Fresh really must be fresh, so Quik’s has control of logistics. We regard reliability and efficiency in the supply chain as an extremely important part of our product. Quik’s Logistics takes care of the transport from “field to customer”, so it’s an indispensable part of Quik’s. We combine years of experience of transport with a fresh view of optimal logistics to suit the (understandably) high standards of our customers. Quik’s Logistics has a modern, conditioned fleet to ensure the supply of potatoes as an ingredient to our sites and to take care of the logistic processing when orders are delivered to customers. Quik’s Logistics loads up the potatoes at the farms, so our skilled drivers can make sure we always get the very best potatoes. Next, the potatoes are taken to Quik’s Verse Aardappelen to be washed, graded and packaged. Quik’s Potato Products processes potatoes, producing ready-to-cook potato products and specialities. Are the potatoes ready for transport? In that case, Quik’s Logistics will make sure they are delivered just in time – while maintaining our flexible can-do mentality – under the right conditions to anywhere in North-West Europe. This combination means that our customers and Quik’s are justified in calling ourselves Quik’s Quality Potatoes!